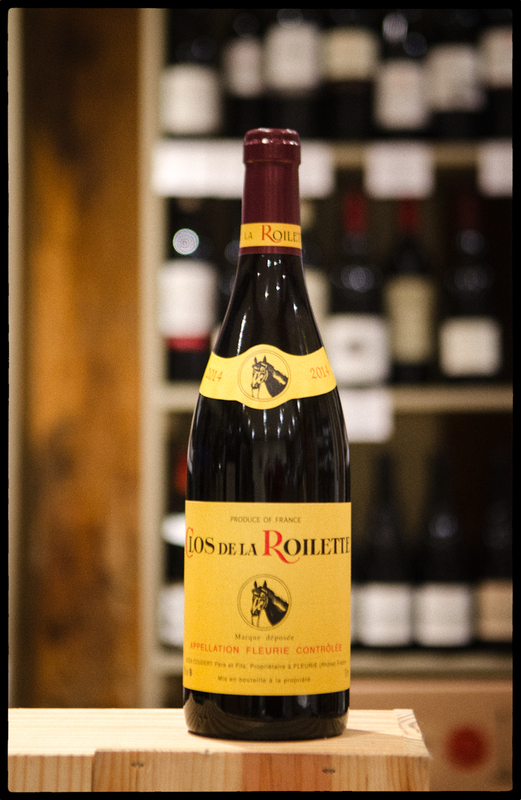 Clos de la Roilette lies at the north-eastern edge of the Fleurie appellation, down below the village and almost upon the border with neighbouring Moulin-à-Vent. These are therefore atypical wines, with none of the sometimes rather lean, easy frivolity with which Fleurie is usually associated. The terroir here comprises pink granite shot through with manganese, which supresses the growth of both vine and the fruit, forcing down yields and leading to darker, more concentrated wines than most Cru Beaujolais. The domaine is run by Alain Coudert. I first visited the Coudert family one Sunday evening some quarter of a century ago with Master of Wine Mark Savage, when Alain’s father Fernand was at the helm. Coudert senior was a quiet man, who fitted well the image of the archetypal French vigneron, with a deep dedication to the vine. As we tasted first through the old oak barrels bearing the young wines, then through the younger bottled vintages, it became clear that spitting was far from de rigeur – indeed, no vessel was provided to that end. Realising that we were serious and inquisitive, the tasting continued into the archive of venerable bottles, which demonstrated beyond any doubt that these were wines with serious ageing potential, and with a marked inclination to ‘pinotise’ as they aged. And so it materialised that Alain was a great enthusiast of red Burgundy from the Cote d’Or, and returning from the cellar with an armful of bottles from various very smart addresses in Vosne-Romanée, Morey St.Denis and Gevrey-Chambertin, he was able, by comparison, to show that aged Fleurie from Clos de la Roilette was capable of becoming enticingly close to some serious red Burgundies. Leaving at somewhere around midnight, a good six hours after we had arrived, we abandoned the car and staggered back in the dark to our lodgings. In my vague recollection it was somewhere close to the village cemetery that my companion fell into the ditch on the left hand side of the road, I on the right. Such is the lot, every once in a while, of the professional wine buyer.